Clarinet and harp work hand and glove together. The sound emulates the famous Big Bands with the subtlety of the harp, making this a unique combination and one of a kind in Atlanta. 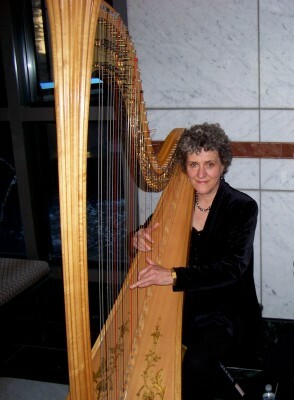 Susan performs with an astonishing range of styles, covering blues, jazz, standards and classical with ease — on harp or piano. She performed with the Atlanta Symphony Orchestra for many years. She recently played harp as an extra for Tyler Perry Studios for a TV episode called “Reunited.” She collaborated with Francine Reed recording Stevie Wonder songs with the Jez Graham Trio, and currently plays with Harp Beat, a harp and guitar duo playing jazz and swing. She has played jazz harp on the recording Harp + Light 1. She’s also available for weddings and other events.